If you are a fan of the Pokémon series, then you are up for a treat! Pokémon is truly an international sensation with fans all over the world. The series found its way into our hearts when it started to telecast on the local Indian networks in the early 20s. Even now, the series is much loved by fans from all walks of life. The best thing about Pokémon in India is that the show was also available in the local languages. To make things easier for you, we have decided to come up with a collection of some of the best Pokémon videos in Hindi right here. If you wish to watch other Pokémon videos in Hindi, then simply download Snaptube on your Android device. It is a freely available app that can be downloaded by visiting its official website. The app has a user-friendly interface and supports a floating video player as well to let you multitask while watching any video. Since it has integrated numerous streaming and entertainment platforms, you can easily find the video of your choice without switching between different apps. Besides Pokémon, you can also find dubbed videos of all the other anime shows too. You can also watch regional as well as international content on the app. 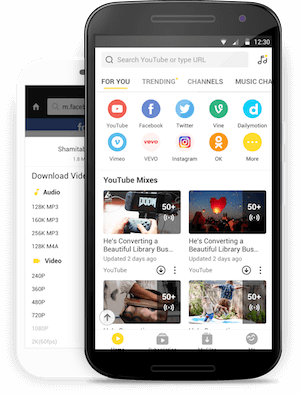 Go ahead and download Snaptube on your Android device to meet every entertainment need of yours. When it comes to Hindi Pokémon video, the sky is the limit. There are numerous videos that you can find on YouTube or other video sharing platforms. We have listed some of the best videos that every fan should watch. Do you ever wonder how Pokémons were originated? 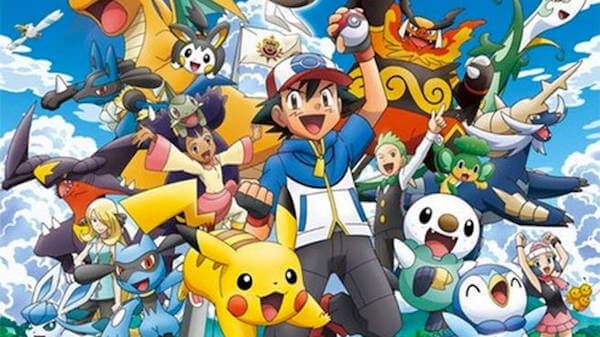 This informative Pokémon cartoon video in Hindi will let you know all about it in detail. 2. What is inside a Pokeball? If you are a true Pokémon fan, then you must have wondered this sooner or later. What is it inside a Pokeball that stabilizes a Pokémon? Watch this Pokémon video in Hindi language and discover it yourself. 3. Why Pikachu never evolves? Evolution is a common thing in the Pokémon universe. All the Pokémons evolve to become stronger and better, except Ash’s Pikachu. This interesting video will answer the same. 4. Who is Ash Ketchum’s dad? This is another mystery in the Pokémon universe that follows various conspiracy theories. If you have also wondered who our hero’s father is, then you should certainly watch this video. 5. Why Ash never ages? 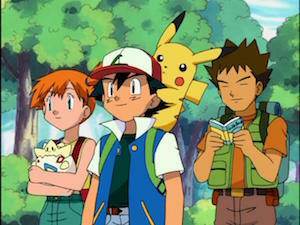 By now, we have seen numerous series and movies based on Ash’s journey in the Pokémon universe. Though, one thing that always remains the same is Ash. Here are some theories to explain why Ash never seems to age. 6. How will Ash’s journey end? We have all witnessed Ash taking numerous quests and fighting against lots of bad guys. But how will his journey end? This video might have the answer. 7. Who is Ash’s true love? We have seen Ash getting romantically involved with a few characters in different series. Though, there can only be one true love. This Pokémon Hindi video has explored the same. 8. Whom did Ash marry? While the series didn’t answer the question directly, fans certainly came up with a few speculations. Let’s have a look here. Our protagonist might have started with Pikachu, but he certainly got lots of Pokémons in his journey. In this Pokémon video in Hindi, we can have a quick look at his collection. Just like Ash, Misty has also owned lots of Pokémons. Let’s have a look at them in detail. It might surprise you, but lots of Pokémons have been inspired by the real world. In this video, you can quickly have a look at them. Misty and Ash will always be the favorite couple of every fan out there. This Pokémon video pays a tribute to them in a heartfelt manner. Even though we have seen hundreds of Pokémons so far, the first-generation monsters were our favorite. Let’s have a look at some of the strongest first generation Pokémons in this video. The legendary Pokémons have always been a mystery. In this video, you can know more about these legendary Pokémons in detail. You might have seen various Pokémon battle videos in Hindi about the listing of some of the strongest Pokémons. Watch this video to know more about some of the strongest Pokémons of all time. We hope that after watching these Pokémon videos in Hindi, you would be able to know more about the Pokémon universe in detail. After all, every fan should know the answer to these interesting questions about Ash, Misty, Pikachu, and the Pokémon universe. Pokémon, which stands for Pocket Monsters, is one of the most popular anime series in the world and has been originated from Japan. It has been adapted in various entertainment media and games due to its global appeal. The series has been telecasted in over 90 countries, including India. It follows the life of Ash Ketchum, who goes on different adventures and takes an unforgettable quest to catch more Pokémons. The series was originally started in 1997 and is currently active as well. The Pokémon series has various seasons, like Indigo League, Master Quest, Johto Journey, etc. Also, there are tons of dedicated movies that one can watch related to Pokémon. The show used to air on Cartoon Network in India after being dubbed in Hindi. Later, it started to telecast on other regional channels as well.